Shashank Sripada was an invited guest to the World Economic Forum Annual Meeting held in Davos, Switzerland, between the 22nd-25th of January 2019. Mark Walenbergh was an invited guest to the InsideInfra in Brazil Forum hosted by the Brazilian Government and held in London on the 21st of March 2019. Dhruv Sharma was an invited speaker to the 3rd Annual UK Institutional Real Estate Investor Forum held in London on the 15th of November 2018 and examining the topic of "Real Assets – Investments in Real Estate, Energy and Infrastructure". Additionally, Dhruv Sharma was an invited guest to the PERE Investor Forum 2018 held in Amsterdam, The Netherlands, on the 1st-2nd of November 2018. Mark Walenbergh was an invited guest to the Buysse & Partners Ten Year Anniversary Event held in Antwerp, Belgium, on the 5th of October 2018. Dhruv Sharma was an invited Speaker to the Tokyo Summit 2018 speaking on the "Asian Infrastructure Landscape in particular regard to Private Investment and the Impact of the Belt and Road Initiative" held in Tokyo, Japan, on the 19th-20th of April 2018. Michael Hecht, representing Marcena Capital Ltd, was an invited guest to the Global Real Estate Investment Meeting held on the 28th of February 2018 at The Royal Automobile Club, London. Dhruv Sharma was an invited guest to the Private Equity Europe Forum held in London on the 18th-19th of September 2018. Dhruv Sharma and Mark Walenbergh were invited guests to the 2018 German Private Equity Forum held in Munich, Germany, on the 7th of June 2018. Additionally, Michael Hecht and Dhruv Sharma were invited guests to PERE Europe 2018 and the latter was also invited to a workshop organised by Axon Partners Group titled 'Task Force to expand the participation of institutional investors in the European VC market'; both were held in London on the 28th of June 2018. Shashank Sripada was interviewed on his views on Cryptocurrency Regulation in TheStreet, published on the 8th of May 2018. Marcena Capital Ltd provides its "CEO's Overview" from its Annual Report 2017, discussing Digital Markets Disruption, Trade, and Manager Fees. Dhruv Sharma has published on Observations on U.S., Japanese, and German Forex Interventions, 1973-2004. Additionally, Mark Walenbergh participated in the Kuwait Investment Outreach Roadshow hosted by the Financial Times in London on the 8th of December 2017. Marcena Capital Ltd were invited guests to the Epic 2017 Annual Gala hosted by Alexandre Mars and the Epic Foundation at the Banking Hall, City of London, on the 13th of November 2017. Additionally, Dhruv Sharma was an invited guest of Minister Oliver Schramm, Head of Economic & Financial Affairs at the German Embassy, to the 'The German Private Equity and Venture Capital Landscape 2017' held at the German Embassy, London, on the 23rd of November 2017. Dhruv Sharma was speaking on a panel on "HNWIs and Family Offices’ Allocations to Real Estate" at the UK Institutional Real Estate Investor Forum held in London on the 20th of October 2017. Marcena Capital Ltd were invited Guests to the Asia PE-VC Summit 2017 held in Singapore on 21st-22nd September 2017. Dhruv Sharma was an invited speaker on the "Best Opportunities in Private Equity" at the Private Equity Europe Forum 2017 held in London on the 20th-21st of June 2017. Additionally, Dhruv Sharma and Shashank Sripada were invited guests to Inside PE inBrazil held in London on the 30th of June 2017. Dhruv Sharma was an invited guest of PERE Europe 2017 held at the Royal Society of Arts, London, on the 11th of May 2017. Additionally, Shashank Sripada was in attendance at the Collision Conference 2017, focussing on the Global Technology Landscape, held in New Orleans, U.S., on the 2nd-4th of May 2017. Dhruv Sharma was an invited Guest to the Redalpine Family Day 2017 held in Zurich, Switzerland, on the 9th of March 2017. Marcena Capital Ltd provides its "CEO's Overview" from its Annual Report 2016, discussing Europe, Growth, and Home Bias. 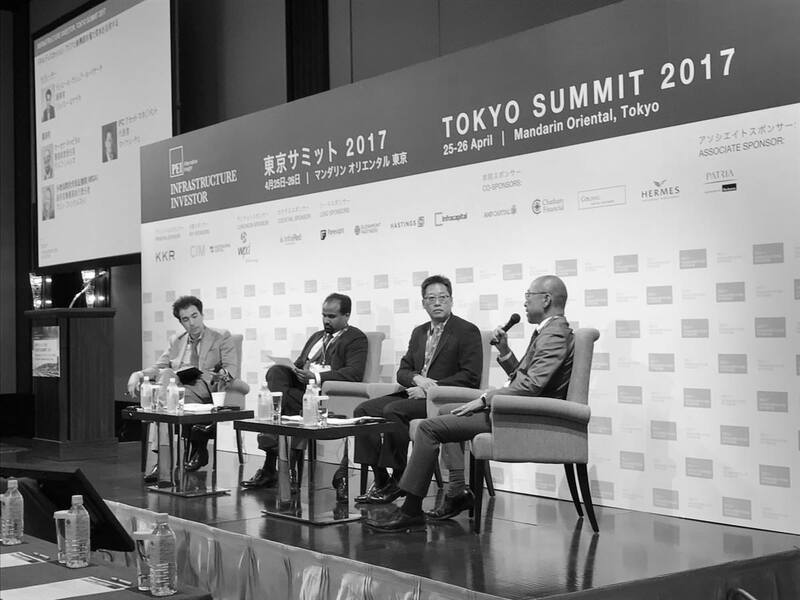 Dhruv Sharma was speaking on a panel on "Putting capital to work in Asia and emerging markets" at the Infrastructure Investor Tokyo Summit held at the Mandarin Oriental in Tokyo, Japan, on the 25th-26th of April 2017. Dhruv Sharma was an invited Speaker to the Private Debt Investors' Council 2016 held in Helsinki, Finland, on the 28th-29th of November 2016. Michael Hecht and Dhruv Sharma were invited Guests respectively at the Private Equity, Real Estate & Alternatives Investment Meeting held at The Mayfair Hotel on the 14th of September and at the FT Investment Management Summit Europe on the 27th of September 2016. Dhruv Sharma was an invited Guest Participant at the Family Office Forum held at The Dorchester, London, on the 4th-5th of October 2016. Dhruv Sharma was an invited speaker at The Investment Forum on Spanish Real Estate 2016, held in Madrid, Spain, on the 4th and 5th of May 2016, speaking on "Investors Roundtable: where are the opportunities now?". Dhruv Sharma's viewpoints on 'Brexit' and transparency in global tax regimes were covered by the InmoDiario Newspaper. Dhruv Sharma was an invited guest to speak on the Asian 'Infrastructure Gap' and Development Finance Asymmetries underlying Private Capital Allocation across "Asia Pacific & Emerging Markets" at the Tokyo Forum 2016 held in Tokyo, Japan, on the 21st of April 2016. Dhruv Sharma was an invited panelist at the Infrastructure Investor Conference in Berlin, Germany, speaking on "Accessing infrastructure deals as a small to medium sized investor", which was held on the 17th of March 2016. Dhruv Sharma was an invited guest at the FT African Infrastructure Financing and Development Summit held in London on the 25th of February 2016. Marcena Capital Ltd provides its "CEO's Overview" from its Annual Report 2015, discussing Global Opportunities and the Outlook ahead for China and Fund Management Dynamics. Dhruv Sharma was speaking in Hong Kong, China, on "Emerging Markets – should investors be taking a closer look?" at the Global Investment Forum Hong Kong held on the 2nd and 3rd of December 2015. Dhruv Sharma was speaking on "Understanding the LP buying community" for German Private Investments at the DACH Private Equity Forum 2015 held in Munich, Germany, on the 20th of October 2015. Dhruv Sharma was speaking on "Deciphering Investor Expectations for Italian Private Equity" at the Italia Private Equity Forum held in Milan, Italy, on the 4th of November 2015. Dhruv Sharma was an invited guest at the Prestel and Partner Family Office Forum, held at The Dorchester in London, on the 15th and 16th of September 2015. Additionally, Wilfred van Opstal was an invited guest to the The China Global Investment Summit: Hangzhou 2015 between the 22nd and 23rd of September 2015 as well as to the Mayor's Dinner hosted by the Mayor of Hangzhou and the Vice Governor of Zhejiang. Dhruv Sharma also participated at the FT Investment Management Summit Europe held in London on the 29th of September 2015. Dhruv Sharma chaired a panel titled "How is investor demand for infrastructure debt changing and why?" on 12th of March 2015 in Berlin, Germany, at the Infrastructure Investors Debt and Project Finance Forum. 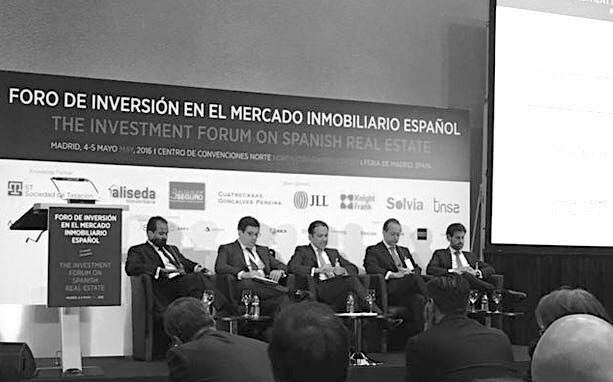 Dhruv Sharma chaired a panel in Madrid, Spain, on the 7th of May 2015 at the IMN Investment Forum on Spanish Real Estate on the "The Return of Financing" within the Spanish Landscape; additionally on the 6th of May 2015, at the Investment Forum Dhruv Sharma was involved on a panel titled "Leveraging Joint Ventures in Spanish Real Estate". Nicholas Frankopan was an invited guest at the Family Office Investment Forum held on the 20th of May 2015 at the Westbury Hotel, London. Dhruv Sharma was an invited Guest at the 2015 European Family Office Winter Symposium held in London on the 9th and 10th of February 2015 and was also an invited participant to the Africa Family Office Forum at the Westbury in London on the 12th of February 2015. Dhruv Sharma chaired a panel on "Financing the Growth of Small and Medium Sized Entities" at the 16th Annual Alternative & Mezzanine Finance Forum held in London on the 3rd and 4th of December 2014. Dhruv Sharma was an invited speaker on "Emerging Markets Investing" at the Executive Investment Days Forum hosted by Singularis Advisors taking place in London on the 27th and 28th October 2014. Dhruv Sharma was speaking on a panel addressing "Aligning the Interests of Investors and Fund Managers" at the Global Infrastructure Investors Summit held at the London Stock Exchange, London, on the 2nd of June 2014. Additionally, Dhruv Sharma was also an invited Speaker on "Private Wealth Allocations into Global Real Estate" at the Institutional Real Estate Latin America Forum 2014 held at the Plaza Hotel, New York City, New York, on the 3rd of June 2014. Dhruv Sharma chaired a panel titled "LP Panel: Investor Perspectives" at the 15th Annual European Real Estate Opportunity & Private Fund Investing Conference on 3rd and 4th November 2014 in London. Dhruv Sharma was additionally an invited guest to "The UK Infrastructure Roundtable Event" held at the London Stock Exchange, London, on the 24th of November 2014. Dhruv Sharma was an invited panelist on "Institutional Investors: Assembling the Perfect Portfolio" at the Alternative Investor Conference held in London on the 21st of May 2014. Dhruv Sharma was on a roundtable discussion titled "Asset Management - Optimizing Asset Performance to maximise Investor Returns" at the IPFA European Infrastructure Finance Forum in London over the 3-4th of April 2014. Dhruv Sharma was in attendance as an invited panelist on "Family Office Perspective" at the Canadian Family Office and Wealth Management Forum held in Toronto, Canada, over 21st and 22nd of January, 2014. Dhruv Sharma was an invited panelist at the 17th Annual SuperReturn International Conference held in Berlin, Germany, on the 24th-27th of February 2014, speaking on the "Changing Investor Base: Examining The Appetite Of The Growing Class Of Investors In Germany – How Are Family Offices Viewing German Private Equity?". Additionally, Dhruv Sharma was speaking at the Institutional Investors Congress held in London over 10-11th of February 2014 discussing the significant opportunities and challenges facing the Real Estate Sector internationally. Dhruv Sharma was also an invited keynote speaker at the Private Equity Real Estate Forum held in London over 19-20th of February 2014. Dhruv Sharma was an invited Guest Presenter at the Liquidity Leaders Summit addressing the "The new dawn of systematic trading in emerging markets: How to best source liquidity?". Dhruv Sharma was also involved in a panel discussion on "Real Estate Investing" at the Prestel & Partner Family Office Forum held in Zurich, Switzerland, over 5th-6th of November, and on another panel on "Institutionalisation of Europe's Direct Lending space - Opportunities and Risks" at the Hedgeweek Debt Forum in London on the 13th of November 2013. Dhruv Sharma also hosted a roundtable discussion on "Exploring the role of sovereigns and family offices in Infrastructure investing" at the Infrastructure Investment World Europe 2013 held on the 27th-28th of November 2013. Dhruv Sharma was speaking on "LP/GP Relationship: evolving for better or worse?" at the 14th Annual European Real Estate Opportunity and Private Fund Investing Forum taking place in London on the 14th-15th of October.